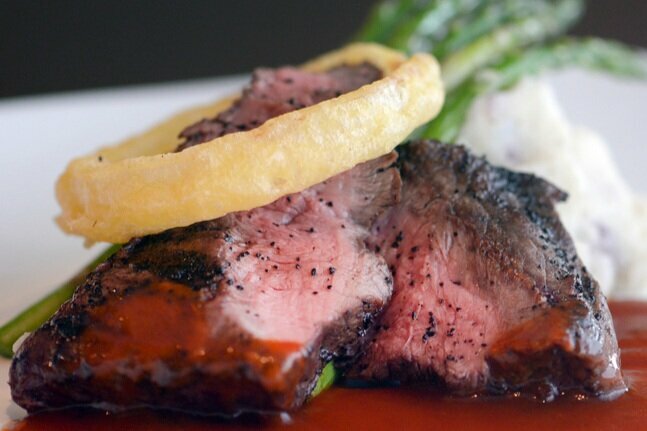 Located in Vancouver, Wa, Tommy O's Pacific Rim Bistro offers vibrant, rich flavors of the cultures that compose the Pacific Ring of Fire which serve as the inspiration behind its fresh and flavorful fare. One of the best Happy Hour and Weekend Brunch destinations in Vancouver, we also offer a full Sushi menu with creative and delicious options. For lunch and dinner, choose from selections like Macadamia Crusted Halibut, Kona Coffee Rubbed Flat Iron Steak, or Island style cuisine like Teriyaki Chicken, Kalbi Ribs, and Coconut Shrimp. We also offer many gluten-free and vegetarian options. Organic local green salad accompanied with a seasonal garnish and your choice of dressing. Our comfortable and inviting lounge next door to our dining room offers a place to gather with friends over one of our craft cocktails, glasses of wine, or rotating draft beer selections. Full dinner menu, aloha hour, and sushi are offered daily. Planning one of life’s many celebrations? Let us take care of the hard work for you. From pickups and deliveries to full service events, in your home, office or any other location. Tommy O’s guarantees to exceed your every expectation. Choose Tommy O’s to cater your next event!